There is one scene that is especially relevant for marketers. Ralphie and his brother are big fans of the “Little Orphan Annie” radio hour. As part of a promotion, the listeners were encouraged to send away for the secret decoder ring, and they would receive a secret message from Annie herself. Ralphie could hardly stand it. He ran home from school everyday to check the mail, only to be disappointed. Then finally, one day, there was a large envelope addressed to him. It must be his decoder ring. He could hardly wait. He ran into the house and locked himself in the bathroom. He sat down and began to decode the secret message from Annie herself. Letter by painstaking letter, the message appeared. He couldn’t work fast enough. He had to know what Little Orphan Annie wanted to tell him. D…..R…..I….oh, the anticipation. N….K….come on. M….O…R….E…O…V…A…L…T…I…N…E. You have got to be kidding! 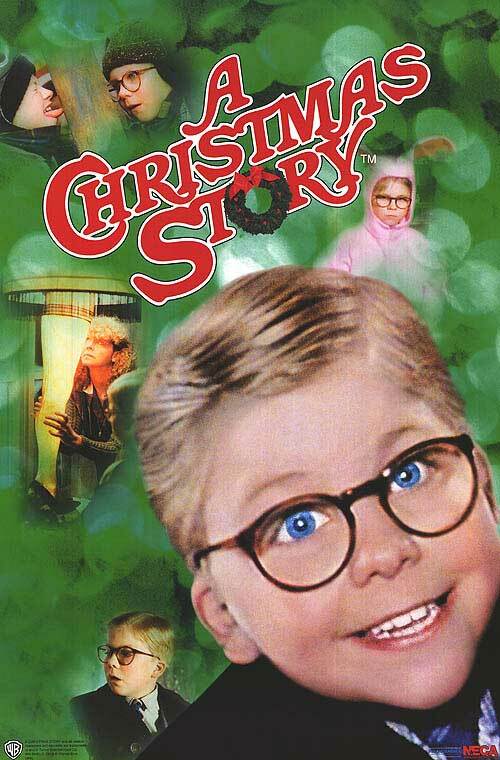 “Drink more Ovaltine.” Ralphie was crushed. He threw down the decoder ring and never felt quite the same about Ovaltine or Little Orphan Annie. The lesson I’ve always taken away from that scene is that it is your responsibility as a marketer to deliver what you promise. There is nothing wrong with creating an environment of anticipation. It is a great strategy and can pay off big time. But the experience better pay off. Otherwise it can backfire big time. What about poor Ralphie? The makers of Ovaltine sponsored the Little Orphan Annie radio hour in order to sell more of their product. Unfortunately their promotion had the opposite effect. It alienated a poor little kid and probably turned him off Ovaltine forever. Not exactly good for business. I did some research earlier this year on the impact of personal brands, and people’s perceptions of what’s important in a brand – personal or otherwise. Respondents clearly indicated that what affected their perception of a brand were visibility, authenticity and honesty of the brand. Ok, great…what does this mean to someone trying to build a business and establish their brand? Or what does it mean to a company with an established brand trying to break into a new market with little brand recognition? You may be surprised to hear me say (or type) that it means the same thing in both situations. Ultimately, the key is to have a defined brand promise – what is it that your brand stands for? Based on this you can then begin to prioritize your strategies and define your tactics accordingly. I have seen, over and over again, where companies (and individuals) jump into the tactics without understanding how they fit, or don’t fit, into the bigger picture. For example, I once worked on a brand re-design project with a major high-tech computer manufacturer. We had a well established brand and were trying to reposition it within in the confines of the overall product portfolio. Plus, we wanted to target a new demographic audience. Off we went to the branding agency who created several different graphic treatments. We reviewed them and made changes and came up with what we thought was a brilliant idea – very “off the wall”, especially for this company – but the new demographic “would be drawn to it” we explained to senior management who were having heart palpitations at the very thought of it. Picture this…a gorilla sitting on top of a PC. Something was definitely “off”, and it turned out, it was us. What the organization wants its brand to be known for. Make sure you have agreement across the company – whether it is large or small. People should be excited about this. They should be able to rally around this promise and use it to make appropriate business decisions. If not, then you still have some work to do. But, I guarantee you, it’s worth it.